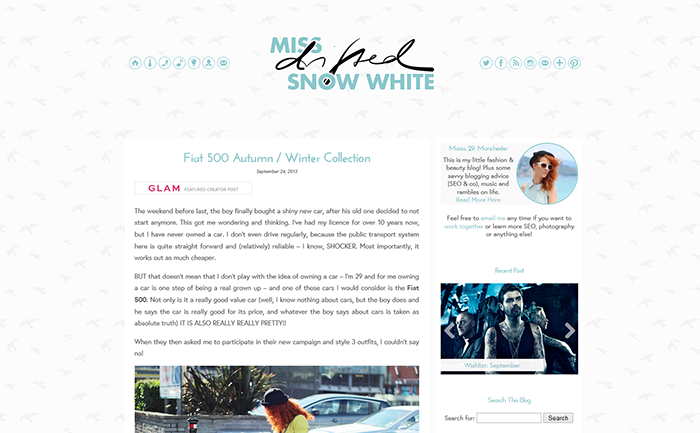 If you come here regularly, you know I’m a bit (understatement) obsessed with changing my blog design. In fact I’ve lost count how many times I’ve changed it in the 3 years i’ve been blogging. Maybe 10 times? Sounds about right for sure. So yesterday I launched another new design, and I really like this one. Well I say that about every design but just like my moods and my fashion tastes and everything else changes so much with me, so does my liking of web design things. So this time I wanted to have it still clean and uncluttered, but a bit more artsy and girly without being too whimsical or over the top. I really hope you like it – do let me know what you think? PS – I’m blogging from my iPad — HOW COOL IS THAT???? Thank you! Next time, please don’t comment to throw in your links – I will block you for spam. Thanks!